If you are ready to push on to Klybeck neighbourhood, you’re in for a pleasant surprise: a cheese lovers’ lair in a hideaway behind the Aktienmühle. Twice a month, Café-Bar staff lights on log fires in the inner courtyard and sets up large cauldrons filled in with cheese fondue. Extra-long forks are provided to dip bread in the nutmeg seasoned melted cheese. 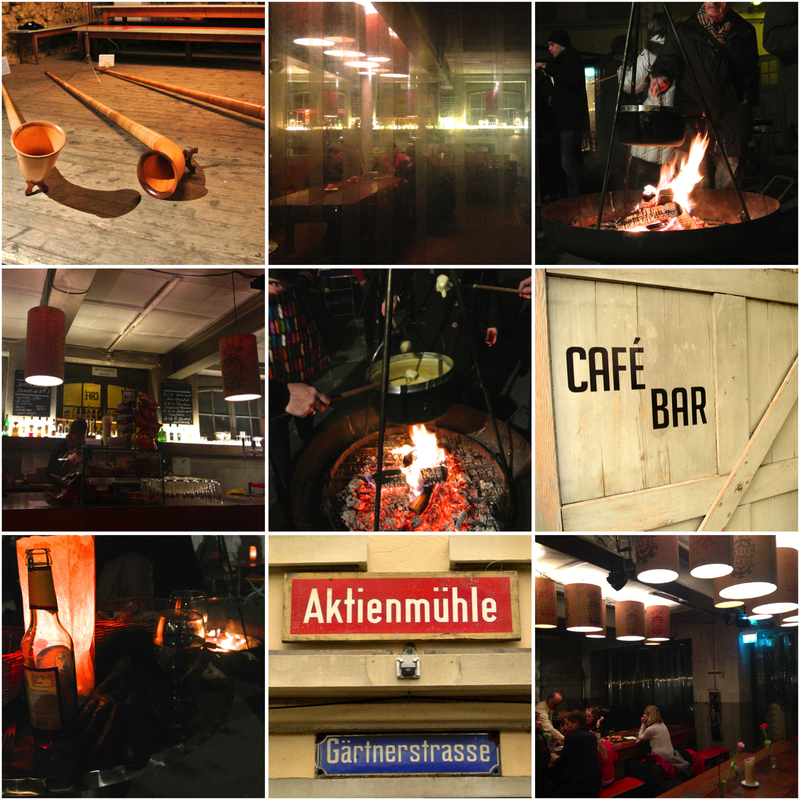 Fire keeps everyone warm, fashionistas wearing fur coats mix with backpackers, hipsters rub shoulders with yuppies while an Alphorn band plays old-style Swiss music in the background. Next rounds: Sat February 28, March 14 and March 28 – Starts at 19:30 until cheese lasts… No reservations are taken for parties of less than 10, so go early. As this is outside, dress warmly. CHF 20: cheese fondue & bread. Drinks are extra. Wow! How cool. This sounds like a fun thing to do. Thanks for sharing, Charlotte!